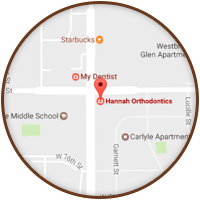 Thanks for visiting the website of Hannah Orthodontics - Confidence with Every Smile! 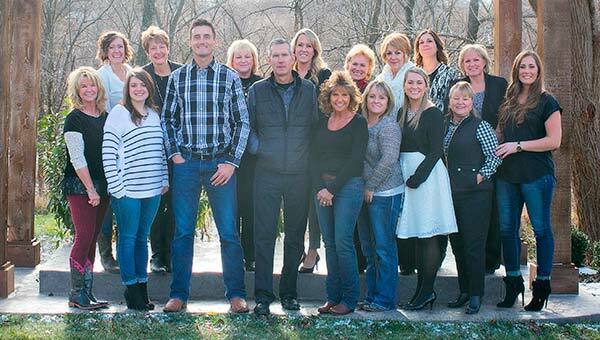 We are known as one of the leading practices in the Olathe, Emporia, Lenexa/Shawnee, Louisburg and Kansas City area. We've built that reputation on the quality care we deliver and the family-oriented environment we create. We have thousands of beautiful, happy smiles to prove it! 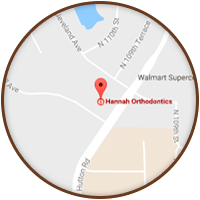 For more than 30 years, Hannah Orthodontics has been providing state-of-the-art orthodontic care to the people in their community. Dr. Joseph Hannah and Dr. Richard Hannah will give you a customized treatment plan and individual attention at every visit, ensuring the best results possible- straight teeth for a lifetime of smiles! Our kind and experienced staff make every patient feel welcome. We have an open clinic concept and encourage open and free communication with our patients and parents. Our goal is to meet your needs to the best of our ability. 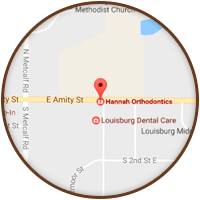 Contact our office at one of its five convenient locations to schedule your complimentary consultation with Dr. Hannah and his knowledgeable staff. 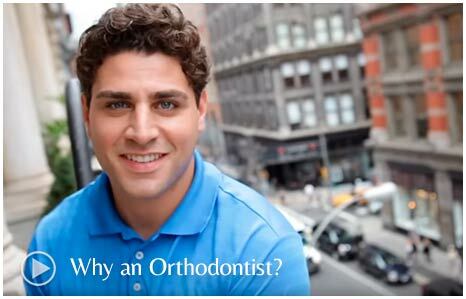 Whether you're interested in traditional braces or Invisalign invisible braces, we'll help you decide which treatment option is right for you. Call today! 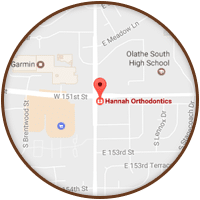 Hannah Orthodontics has practice locations in Olathe, Emporia, Lenexa/Shawnee, Louisburg and Kansas City, KS, and serves the surrounding areas of Basehor and Tonganoxie, KS. 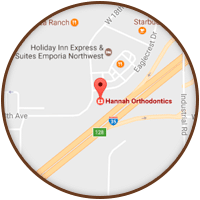 I just had the best experience with Hannah Orthodontics! I grew up in Idaho and had braces over 10 years ago. When one of the brackets on my permanent retainer popped off, I wasn't sure where to go. My husband went to Hannah in high school and suggested I call them. They were able to schedule me in quickly and the whole team was amazing! They were so kind and extremely accommodating. When we have kids, we will send them to Hannah Orthodontics. It was a pleasure! "I have been practicing dental hygiene for 20 years and have seen first hand of Dr. Hannah's patients before, during and after ortho treatment. His results are always consistent and beautiful! This is why I chose Dr. Hannah to treat my son. I had never met Dr. Hannah until our initial visit. He was down to earth, informative and conservative with his recommended treatment. As a mom and dental hygienist, I am relieved to find the perfect orthodontist for us!"